Want to shed those extra kilos? Try avocados, which may help lower body weight, body mass index (BMI) as well as lead to smaller waist circumference, researchers have found. 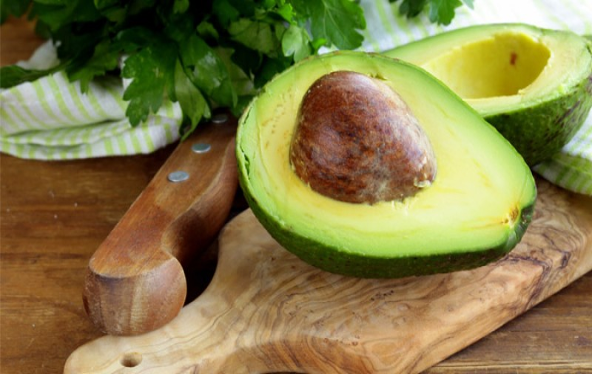 The findings, published in the journal Internal Medicine Review, showed that avocado consumers were 33 per cent less likely to be overweight or obese and 32 per cent less likely to have an elevated waist circumference compared to non-consumers. On average, avocado consumers weighed 7.5 lbs less, had a mean BMI of 1 unit less and 1.2 inches smaller waist circumference compared to non-consumers. Further, avocado consumption may also lead to an overall better diet, as consumers had higher intakes of dietary fibre, total fat, good fats (monounsaturated fatty acids and polyunsaturated fatty acids), vitamins E and C, folate, magnesium, copper and potassium. Avocado consumers also had lower intakes of total carbohydrates, added sugars and sodium, compared to non-consumers. "These findings indicate incorporating avocados could be one way to meet the recommended fruit and vegetable intake and potentially improve physiologic measures," said Nikki Ford, Hass Avocado Board Director of Nutrition in California, US. "We encourage healthcare professionals to remain committed to recommending avocados as part of an overall healthy diet," Ford added. Eating avocados also regulated the insulin levels and reduced levels of homocysteine -- associated with an increased risk of cardiovascular disease. For the study, the team assessed a representative sample of 29,684 adults (ages 19 years and older).